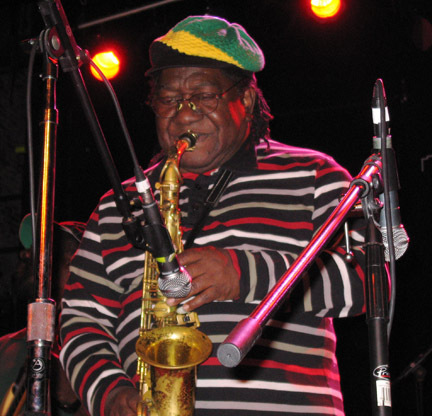 K and I went to the Montreal Ska Fest and SAW THE SKATALITES! 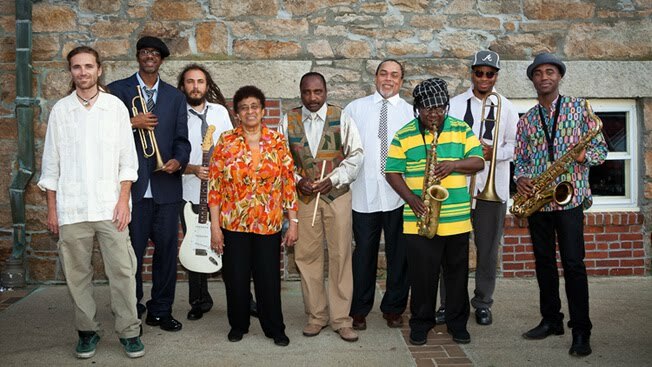 The Skatalites are a ska band. 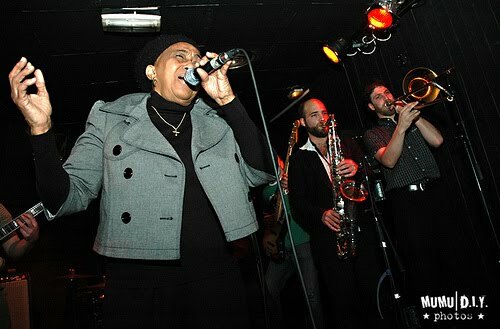 They are, like, a big time, original status, founding-royalty ska band from the first wave of Jamaican ska. 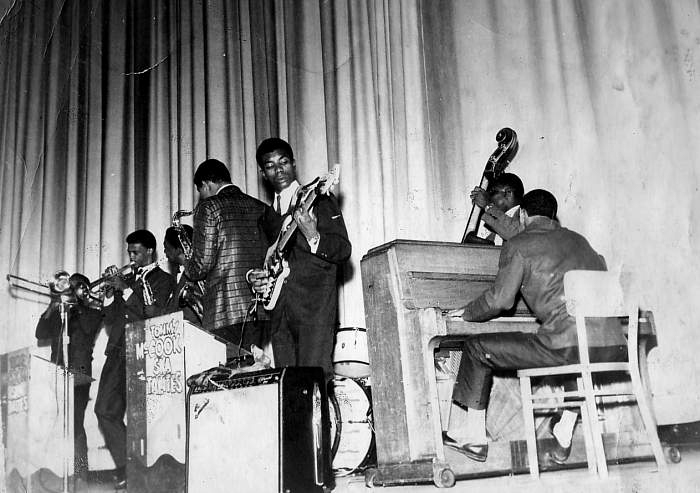 They also played with pretty much every ska artist on the island of Jamaica in the sixties--as Rolling Stone put it, they were "Jamaica's answer to the Motown house band and Booker T and the MGs combined." PJ Patterson, the former Prime Minister of Jamaica, managed them for a while in his youth! -The Harmonauts, my favorite Torontonians, at the afterparty at L'Absynthe, which was excellent and along to whom K and I skanked up a storm, and after whose set we made new friends! From Edmonton! Exciting. *The ladies on the Eastern Standard Time homepage are well dressed and generally awesome-looking! AND APPARENTLY someone has already put video up from last night's show! Here we have: THE SKATALITES!